In my twenties, I had the privilege of visiting a dozen countries, the majority of which were on mission trips. Some of this work was short term, lasting only a week or a month, but my husband and I were fortunate enough to get to spend nearly two years living in Southeast Asia as well. Our latest season of life has found us home in the United States raising our four noisy (and cute) boys, but we’ve tried hard not to lose our sense of missional living along the way. Surprisingly, living as a missionary in Asia was not so very different than attempting it in my ordinary life now in America. Sure the food, language, culture, dominant religion, and distance from family presented certain challenges that I don’t face here. But in both places I’ve had to wrestle with how to live out my faith evangelically in the mundane of daily life. In both places I’ve questioned whether I’m truly fulfilling the call of Christ or falling into a lazy complacency. I think a lot of us feel this way: we are exhorted to be a part of the new evangelization, but often question what that means from day to day. At first glance, today’s Gospel reading (Mark 6:7-13) doesn’t seem to offer any answers. But if we’re willing to look past the details and focus instead on the heart behind Jesus’ instructions to the twelve disciples, we find it’s more applicable to us than we expected. Jesus commands them to take almost nothing for their journey; we see the call to simplicity and a humble reliance on others. They were told not to take a second tunic; we’re reminded of the words of Catholic Worker co-founder Peter Maurin, “The coat that hangs in your closet belongs to the poor.” The disciples were instructed to stay in homes of welcoming strangers; we see the importance of leaving our comfort zones and accepting the hospitality of all people. Far from being a dusty outdated text, Scripture is always relevant and instructive for living missional lives today. When we doubt our own path and don’t know what to do, divine direction is as close as our nearest Bible. 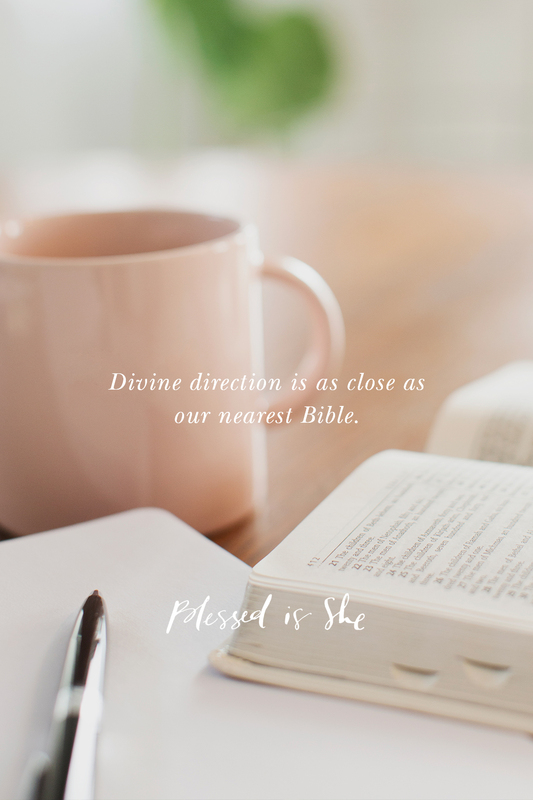 Divine direction is as close as our nearest Bible. When did you last read the Bible, do a Bible study, closely listen to the Mass readings for the day? Let Jesus speak to your heart this way. Shannon Evans is a Protestant missionary turned Catholic convert who lived to tell the tale. She is a writer, speaker, and podcaster. She and her husband and four children are passionately pursuing a life of authenticity and justice. You can find out more about her here. Love this!! Thanks for a great message!